Dr Sophie Benjamin is a Lecturer in Inorganic Chemistry and teaches on the chemistry course cluster (Fdn, BSc, MChem, MRes and MSc). Her research interests encompass molecular main group and transition metal chemistry with a particular interest in unusual organometallic complexes. She likes to use as much of the periodic table as possible in both her research and her teaching. Dr. Benjamin is also the Radiation Protection Officer for the University. 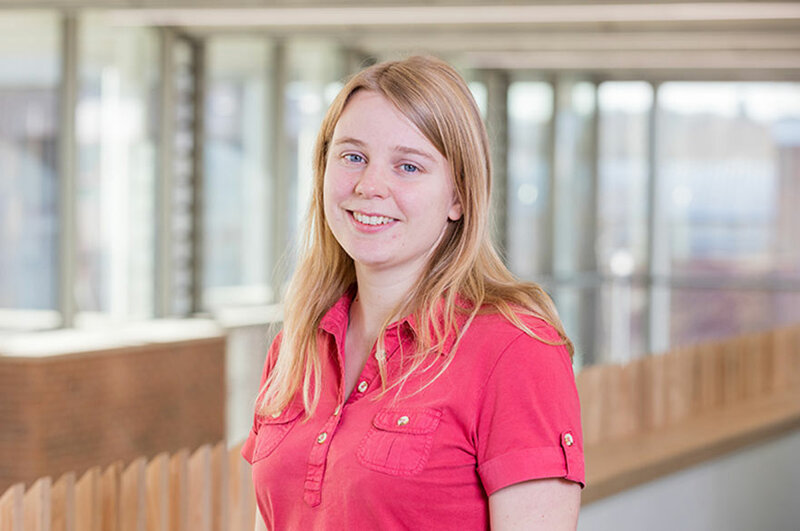 After studying Natural Sciences at the University of Cambridge, Dr Benjamin completed her PhD in Inorganic Chemistry at the University of Southampton, where she was then awarded an EPSRC Doctoral Prize Fellowship to undertake a postdoctoral research project. She moved to NTU to take up her current position in 2015. Research in the Benjamin group aims to synthesise and exploit new inorganic molecules, from the study of fundamental bonding to the design of new catalysts, with a focus on the heavier elements of the p-block. For more information, visit the group website. In her PhD Dr Benjamin studied coordination complexes of antimony and bismuth ligands. During postdoctoral work she researched the synthesis of metal chalcogenide thin films for thermoelectric and microelectronic applications. She also has a longstanding interest in metal fluoride chemistry. Opportunities to carry out postgraduate research towards an MPhil / PhD in the School of Science and Technology exist, and further information may be obtained from the NTU Graduate School. Dr Benjamin is a member of the Royal Society of Chemistry and sits on the committee of the RSC coordination and organometallic discussion group (CODG). [Pd4(μ3-SbMe3)4(SbMe3)4]: A Pd(0) tetrahedron with μ3-bridging trimethylantimony ligands. Benjamin, S.L., Krämer, T., Levason, W., Light, M.E., Macgregor, S.A. and Reid, G., 2016. Journal of the American Chemical Society, 138 (22), pp. 6964-6967.